Home > Knowledge Center > Do Southern California Homes Need Rain Gutters? 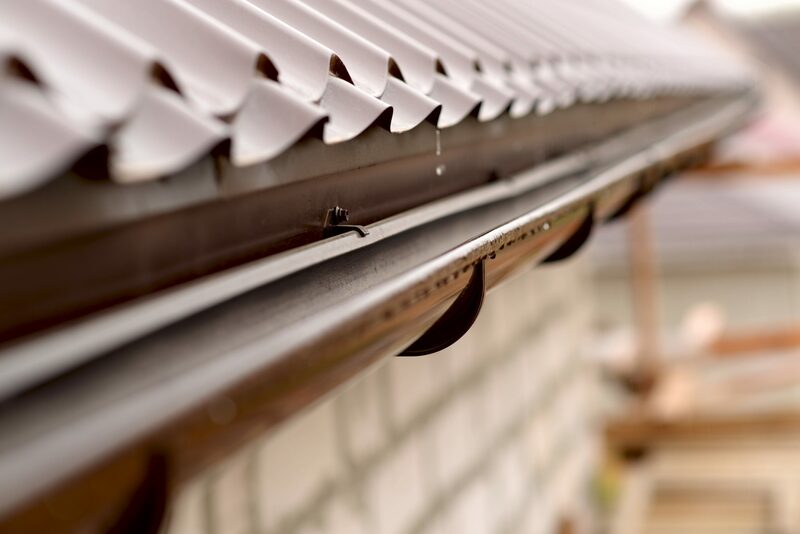 In many parts of the country, rain gutters are an absolute must and are integral in keeping water out of basements and preventing damage to homes. However, in areas like San Diego, Orange County and other parts of Southern California, we are often praying for rain and do not seem to get enough rainfall to cause builders to automatically add a rain gutter system to home designs. Most homes here do not have basements, most areas do not have to worry about getting enough water to damage eaves or foundations, and many homeowners just do not see the point in investing in a gutter system when it rarely rains. So this begs the question: Do Southern California homes need rain gutters? 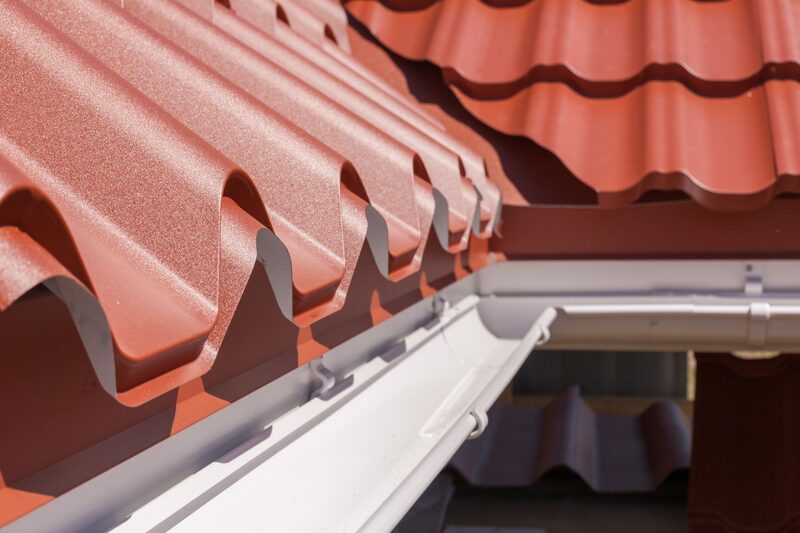 Let’s look at some of the reasons you might want to add a roof gutter system to you home – even in a drier climate. Drive around any neighborhood in San Diego, Los Angeles, Riverside or Orange County and you are going to see some homes that have full gutter systems, some that have partial gutters and some with no gutters at all. This is generally true regardless of when the house was built or who the builder was. While it is true that you will more often see higher-end homes with gutters systems than without, even some upscale, newer homes are sans gutters. It is easy to understand how our general lack of rainy days would lead to many builders and homeowners choosing to forego gutters and just make do without a rainwater management system. Sure, this may mean that they have to duck and run to get through the streaming waterfall at their front door on a rainy day, but that is likely soon forgotten in the 100 or so precipitation-free days that follow. However, just because you do not need a roof gutter system most days in Southern California, you still might want to consider installing one if your home is currently gutter free. For starters, even though there are not a lot of basements in this part of the country, some folks do have parts of their homes that are below ground level. When this is the case, it is important to keep water away from the foundation where it may seep into and through these subterranean walls. Secondly, water lingering around your foundation can cause damage over time and can seep into above-ground walls to rot wood or even cause mold to grow. While most folks are not going to have these problems with the amount of rain we receive each year, it is something to consider. A far more relevant reason to install gutters on Southern California homes is to direct water away from outdoor living areas, walkways, porches and doorways. 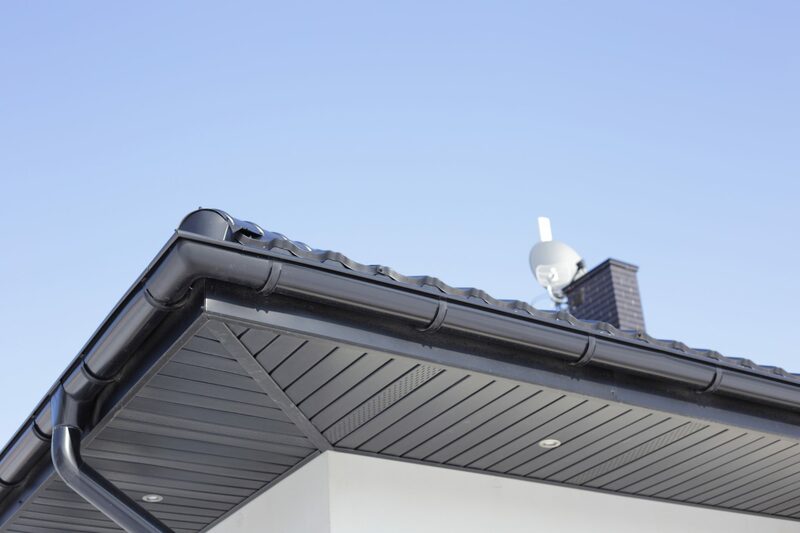 For this, you can even install partial gutter systems, which are less expensive and can be positioned to only manage the flow of water in certain areas. This allows you, your family and your guests to avoid walking under sheets of water falling from the roof as you make your way to the front door or a covered patio. This makes your outdoor entertaining spaces more accessible and helps to keep your guests dry and comfortable. This, alone, is reason enough to install at least a partial gutter system on your home. Another great reason to install gutters along the eaves of your home is to avoid that unsightly line of erosion that happens in your landscaping where the water falls from your eaves. Finally – and nearly as enticing as keeping your guests dry – is that you can direct your downspouts to channel the rainwater into rain barrels where it can be stored for later use. 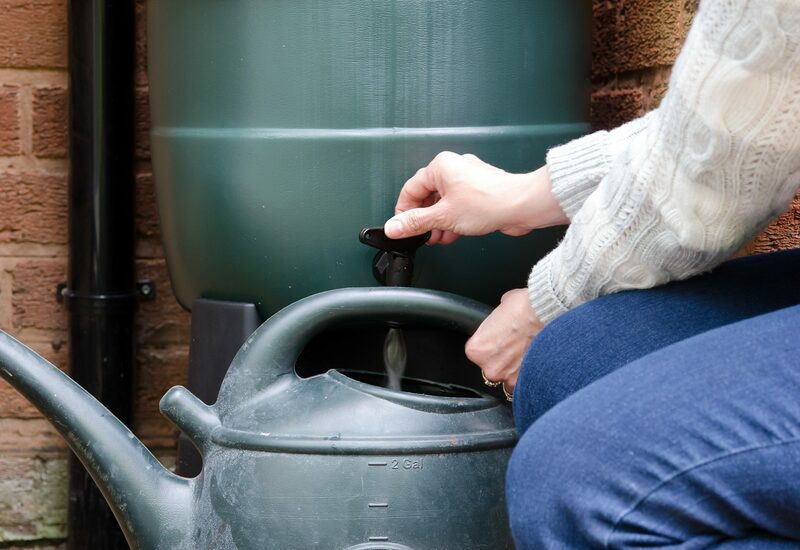 Therefore, if you install a partial or full gutter system, you can also install one or more rain barrels in which to collect rainwater. You can then save water and lower your water bills by using the rainwater to wash your car, irrigate ornamental landscaping or rinse recyclables. If you do decide to install gutters, keep in mind that a bad installation can be worse than having no gutters and can actually cause more damage or other issues. Unless you are pretty handy and feel confident that you can install them properly, it is best to leave gutter installation to the professionals.